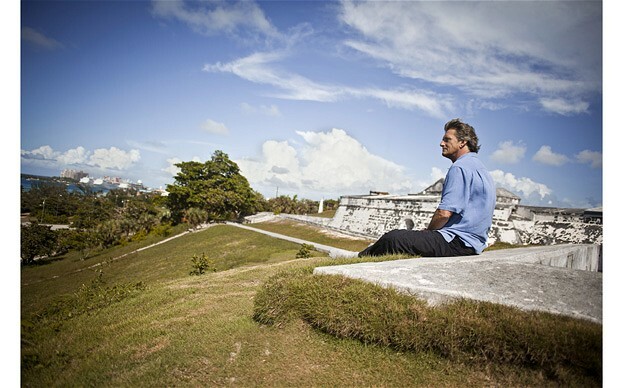 Five weeks before the start of the Olympics, Mike Oldfield sits in the little studio positioned at the bottom of his garden in Nassau, in the Bahamas. He remembers getting an email in July last year, asking him to telephone his record company in London. They had “exciting news” for him: Danny Boyle, the Games’ artistic director, wanted him to be involved in the £27million opening ceremony. Oldfield admits his jaw dropped. “And a few days later, I got a lovely email from Danny, then I spoke to him on the phone — he wanted to come out and see me.” He gazes out at the wooden dock that stretches from his seaside property, towards the motorboat and jet ski moored offshore. Aboard one of those it’s only a few minutes’ zip to Oldfield’s main boat, the 68ft Sea Dragon, anchored in a nearby marina, hull-to-hull with lots of other multi-million-pound craft. That album also led to him playing a crucial role in what could either be the greatest — or the strangest — Olympic Games of the modern era. Oldfield will be performing, he tells me, under the giant bell cast by the 500-year-old Whitechapel Bell Foundry, while jiving NHS workers, Mary Poppins and “demons and ghouls” do battle beneath him. “Then there’s the section at the end where this baby grows out of the centre of the stadium,” he explains, wide-eyed. “And Danny wanted to use In Dulci Jubilo, so I made a new version of that. “And there are all these people running around unveiling this… thing,” he continues. “And the very end section is a brand new piece, which is basically a piano and a big bell crescendo, and the lights come up and this giant baby which is supposed to represent the Olympic spirit grows out of the centre of the stadium and it ends with a big crash and lights.” Oldfield, an avuncular man with shaggy hair and a pocket full of Amber Leaf rolling tobacco, seems unfazed by the prospect of standing beneath a 23-ton bell marshalling musical proceedings for an 11-minute celebration of the NHS. But, since his involvement has been a well-kept secret for over a year, he could just be relieved that he’s finally able to talk about it. Overcoming his fears about the weather, Oldfield is finally returning to the country that made him a star via Tubular Bells, the groundbreaking, 18million-selling 1973 album he recorded when he was 19. He’s coming home, to play his biggest concert ever. Oldfield, a Reading-born, 59-year-old father of nine, and full-time resident of Nassau, left the UK under a crotchety cloud when the smoking ban, profusion of CCTV cameras and petty laws all got too much for him. “I read about a chap getting a ticket for eating a KitKat while driving! It’s like being at prep school!” he fumes. A lifelong speed freak and qualified pilot, he remains furious about his homeland’s “ridiculous” insistence on crash helmets for moped riders. But even that couldn’t dim his enthusiasm for the Olympics. Yes, he is on good terms these days with Richard Branson, whose Virgin empire – and fledgling record-label – was kick-started by Tubular Bells’ success, and who Oldfield subsequently sued for royalties. But yes, he did embed his 13th album, 1990’s Amarok, with a Morse code message that spelt out “F--- off RB”. No, he no longer has — as he said three years ago — no friends, only lawyers. An improving relationship with the mothers of his older children has helped there, and his legal dispute with Noel Gallagher is a distant memory. The one-time Oasis leader bought Oldfield’s house in Ibiza, then successfully sued him after he discovered part of the property was falling into the Mediterranean. “I had about eight lawyers, now I have three, and I did pick up a new one for the Olympics. Hey, things are looking up!” he beams. “The day I have no lawyers, I’ll be a happy man.” His two sons, Jake, eight, and Eugene, four — his children by wife Fanny, whom he met in Ibiza and who is 24 years his junior — tumble about in their pants, begging dad to splash into the swimming pool with them. Normally Oldfield rises before dawn, working on music either here or in the other studio up the hill in his house. Current projects: the remastering of his back catalogue, a new compilation (Two Sides), and “one of the few things I’ve not done — a rock album”. He mentions that one of the songs on the latter references domestic violence, “which I experienced a long time ago”. Later that afternoon, he explains what he meant by that. For decades Oldfield has been described as a reluctant rock star. In the Seventies, he shrunk from the bewildering and unexpected success of Tubular Bells. He hated publicity, was loath to tour. He even found it difficult driving into London. This was usually ascribed to, and dismissed as, either hippy nonconformism, or drugs. His mother Maureen, a Catholic nurse from Munster, was herself the product of a disturbed childhood. Her father had fought in the First World War, and came home traumatised. His mental health wasn’t helped by the Irish War of Independence and the sense that he was “hated by his own countrymen for having served in the British army”. She escaped to the UK and married Oldfield’s father, a Protestant. She was ostracised by her family. “And that all built up into this terrible mental anguish,” Oldfield explains. “Which these days you would go and see a psychotherapist for, probably for the rest of your life.” At the age of 40, Maureen gave birth to a child with mental disabilities, who only lived for a year. “Then,” Oldfield sighs, “she had a hysterectomy. She couldn’t cope, became addicted to tranquillisers.” His mother died in the Seventies. But his father is 89 and lives in Germany. Oldfield senior and junior have discussed these events. But has he told him about the new song? “What’s the point? It was a long time ago. He explained the frustrations he felt — if you’re a physician, your whole career, your calling, is to make people better. If you can’t, it’s soul-destroying, frustrating. 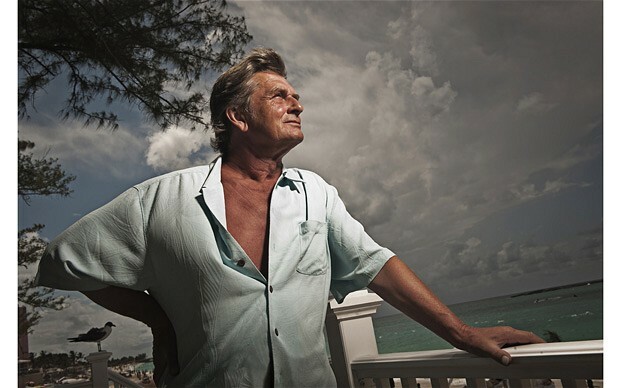 We’re not talking about one week — we’re talking about years and years and years of it.” Little wonder that young Mike Oldfield immersed himself in music and hit the road as soon as he could. For this gifted but troubled teenager, making the all-instrumental Tubular Bells as a one-man band was the best therapy imaginable. He has been in the Bahamas for four years, and is now the proud and grateful owner of a Bahamian resident’s card. This follows a variety of homes in southern England, and stints in Majorca and Ibiza (where, he admits, the Nineties hedonistic lifestyle almost got the better of him). It’s the longest he’s been in one place for years. Why? Oldfield pauses and rolls another Amber Leaf, a consignment of which has been brought out from the UK by his publicist. “I don’t like being cold,” he finally says, eyes twinkling. “I went to Ibiza, then to my horror I discovered it was cold in winter. Then I tried Majorca, same thing there. Then I lived in Monaco for nearly a year. Oh, and Switzerland,” he suddenly remembers. “Then I was sitting in Monaco and this chap turned up with a brochure for the Grand Bahama Yacht Club, which is on the big island to the north. And I just booked a flight over to have a look. And it was lovely! do with money. You can’t buy that.” Actually, you can, as Oldfield did from an old expat family who were in the insurance business. But no matter. “To be able to come out of my room in the morning, it’s a beautiful sunny day, hop on my jet ski, I’m off in two minutes, out there – it’s paradise. Nothing to do with tax. Boyle explained that the portion in question was to celebrate the NHS, which he’d storyboarded into a narrative that “became a bit Dickensian. I was sitting there watching this, and it all seemed to me so magical. And I trusted him because I’m a tremendous fan of his films,” he nods. “I thought he would be able to pull it off. And I said straight away, 'count me in’.” Oldfield is a lifelong solo operator and canny curator of his own back catalogue. But his enthusiasm even withstood subsequent interfering from Boyle, which included the eventual handing over of finished pieces to the ceremony’s musical directors, Underworld, for remixing and mastering at London’s Abbey Road studios. “Danny suggested a swing version of Tubular Bells,” says Oldfield, his eyebrows rising just a little. “He sent me a Benny Goodman track… At first I thought, 'you can’t, no.’ Then I started playing around with the sequences and mocking something up and thought, 'it really does work, yes.’ It just flowed from start to finish.” And yet. Aside from Oldfield’s proven ability to conjure performance magic in the rain, on what musical basis did Boyle hire him? It’s easy to see why Gary Barlow was enlisted for the Jubilee. One understands the all-star line-up of the closing ceremony. But Oldfield — a couple of hit singles (Moonlight Shadow, In Dulci Jubilo), one huge album (Tubular Bells), one television theme (Blue Peter), one famous soundtrack (The Exorcist) — is a less obvious choice. Four weeks later, Mike Oldfield and family have arrived in the UK — “it was raining!” — and he’s fresh from his first visit to the Olympic Park. The Olympic Stadium, he reports, was a picture of “total organisation” during the initial rehearsals. “The place has a very welcoming atmosphere. You can feel all the energy that’s gone into the building of it over these months and years. It’s stunning. I was bowled over by it.” He was, though, “slightly alarmed” when he heard of the last-minute cut, reportedly necessitated by security and transport issues, of 30 minutes to the running order. “A little tiny bell at the back of my mind did ring. But I’m in hourly contact with everybody there. So I would know by now if I’d got the chop.” And what of the big bell? “Oh, fantastic. My first thought, as you can imagine, was, 'I want to ring it.’” It’s all a long way from Mike Oldfield’s first heel-dragging live performance of the album that bought him those boats. In 1973, John Peel was an enthusiastic champion of Tubular Bells, calling it “entirely one of the most impressive LPs I’ve had the chance to play on the radio. A really remarkable record from Mike Oldfield.” But Richard Branson wanted to rocket-power his fledgling label and its first-ever album release by having Oldfield perform at London’s Queen Elizabeth Hall. Oldfield, shy and nervous and probably stoned, was reluctant. In the end, Branson had to offer him a gift. What would persuade him to get on stage? Oldfield, then penniless, considered his £40 Mini that could only manage 35mph. Then he considered Branson’s Bentley. He chanced his arm and asked for the car. Branson duly handed it over. “It was better than my Mini!” laughs Oldfield. Mike dejó las bahamas para ir a Londres para tocar por la patilla y ya tiene solo tres abogados en vez de ocho y ha hecho las paces con R. Branson. Lo que me chirria es que "va a hacer algo que todavia no ha hecho: un disco de Rock". ¿Qué sentido del rock tiene Mike?. Lo que sí que es cierto es k Mike ya ha hecho temas rock, AOR o llámalo tortilla de patatas...véase Discovery, See the light, Shadow on the wall, Heaven´s open,Magic touch .....lo que ocurre que siempre ha metido otros temas para lucimiento de Anita o de la vocalista de turno..k si North Point, k si Blue night, etc, más sintéticos, poperos, etc. Supongo k se referira a hacer un disco de rock al más puro estilo clásico kn temas con fuerza, medios tiempos comerciales y alguna balada. Lo que viene siendo un disco rock clásico de piscifactoría.